GlobalGolf.com offers a huge selection of golf apparel for men, ladies, and juniors. Our wide selection of new and closeout golf clothing includes a wide range of comfort and style for all conditions. 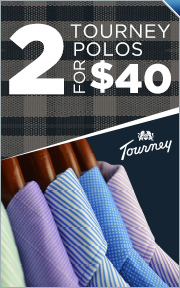 Shop and save year round for golf shirts, hats, shorts and pants from the top apparel brands. Play through the rain with outerwear and raingear from Nike, Sun Mountain, FootJoy and many others. Fight off the cold with golf sweaters and knitted headwear from Nike, Ashworth, Adidas and more. You will also find all your golf accessories including belts, socks, money clips and True Power Energy Bands. At GlobalGolf you can find golf apparel from Adidas, Oakley, Callaway, Nike, Footjoy, PUMA, and all your favorite brands. We feature the most advanced technology in activewear including Nike Dri-Fit and Adidas ClimaCool, and are pleased to present the latest in Adidas apparel lines: ClimaLite, ClimaWarm and Climaproof. Don’t forget to check out our Golf Apparel on Sale and Golf Apparel Final Clearance sections for even deeper discounts. Find the perfect apparel to meet your standards for comfort and style easily from the wide variety of colors and sizes. Get free shipping on orders over $199, and check back often to see what new savings are waiting for you in our Deals & Offers section. The GlobalGolf standard for quality products and service will make us your favorite place to shop for golf apparel.